Adding value to your home with a beautiful and luxurious glass pool safety fence has never been easier than when you choose Safe Defenses. In this case study you will see how this Las Vegas home received an upgrade thanks to their choice for a glass fence. Read on to learn more about how straightforward the process of installing this fence at your home can be, and why so many homeowners choose Safe Defenses to install their glass pool fencing. At Safe Defenses we are the company the completes the process without subcontracting it out. 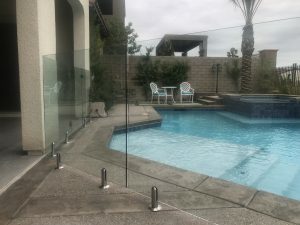 Starting with your quote and through the process of product supply, installation, and project management, we are the one stop shop glass fence installation company for Las Vegas. Because we handle every part of the process ourselves, rather than subcontracting it out, you receive an all inclusive price on your glass pool fence installation, completed on the timeline we promise. We employ the right people, rather than scrambling to find and train people on your project. With this being the case, the cost, timeline, and ending result are exactly as they have been described. 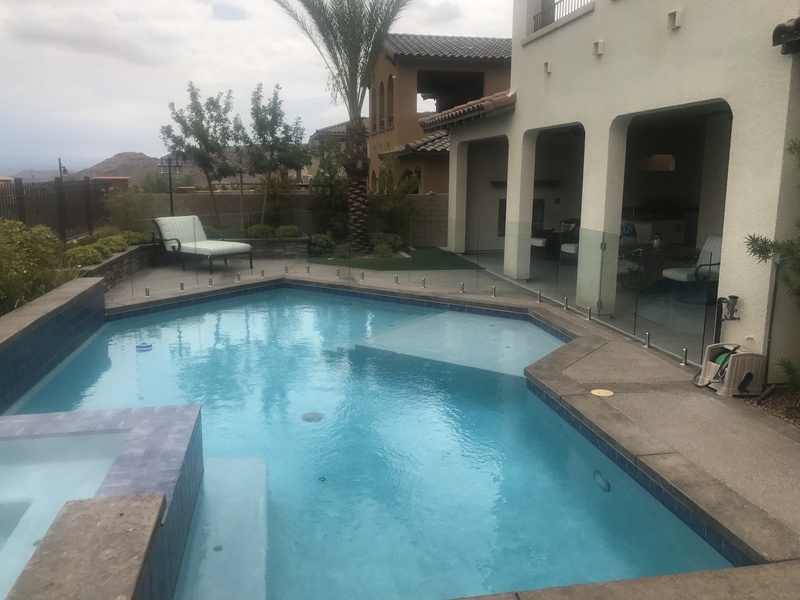 The person you meet during the estimate will be part of your project until it is complete, and you have a specific contact that knows the day to day activities on your glass pool installation. 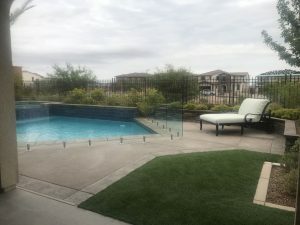 There is consistent and clear communication about the scope of your fence installation. 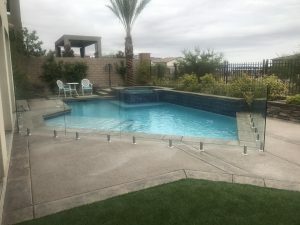 Compared to similar companies in Las Vegas, this difference is night and day. 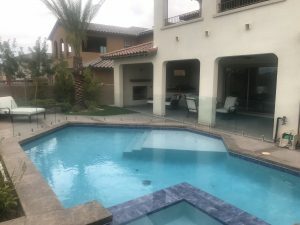 Many of our competitors require that you, the homeowner, have to constantly start from the beginning with explaining the project to a new site manager at every turn, creating headaches all along the way. 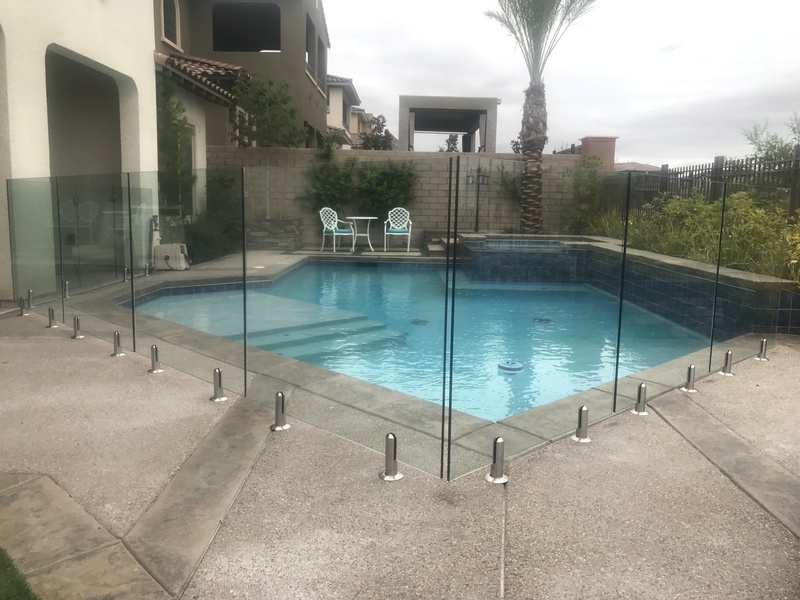 Having the best qualified and experienced glass pool fence installers in Las Vegas on our team means that we can honestly offer the very best installation service. 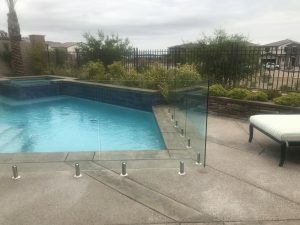 Part of the appeal of a glass pool fence is the nature of the installation. 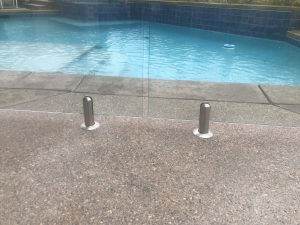 Low profile mounts in the deck with beautiful hardware are what add value to your home or private commercial pool. 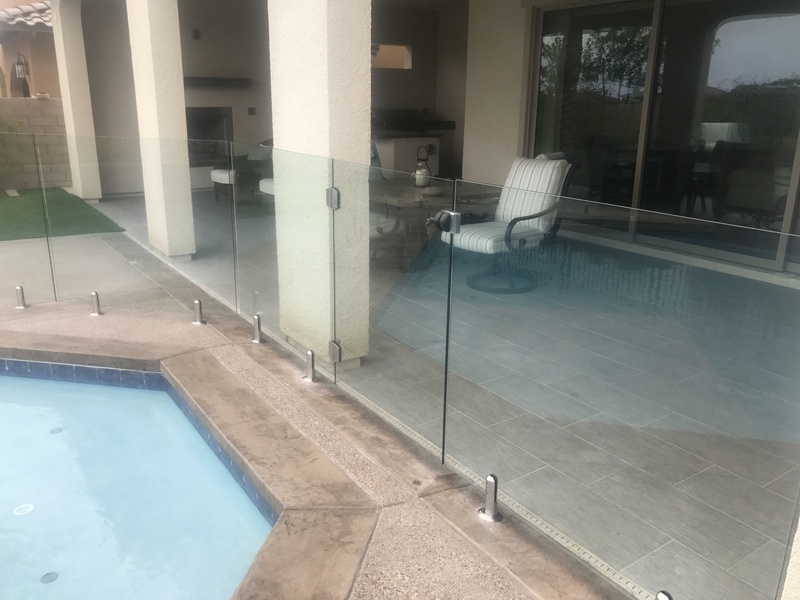 Having a proper installation reduces the potential for future problems and issues. Our business process and experience eliminates this burden, making the process as enjoyable as possible, while you see your vision take shape. Once complete, you are certain to revel in the beauty of the glass fence that enhances the visual appeal of your private pool. The ease and seamless nature of the installation will be fond memories, rather than something you survived. When you want the best service, materials and results, the choice is clear, choose Safe Defenses. The gallery below illustrates these results. 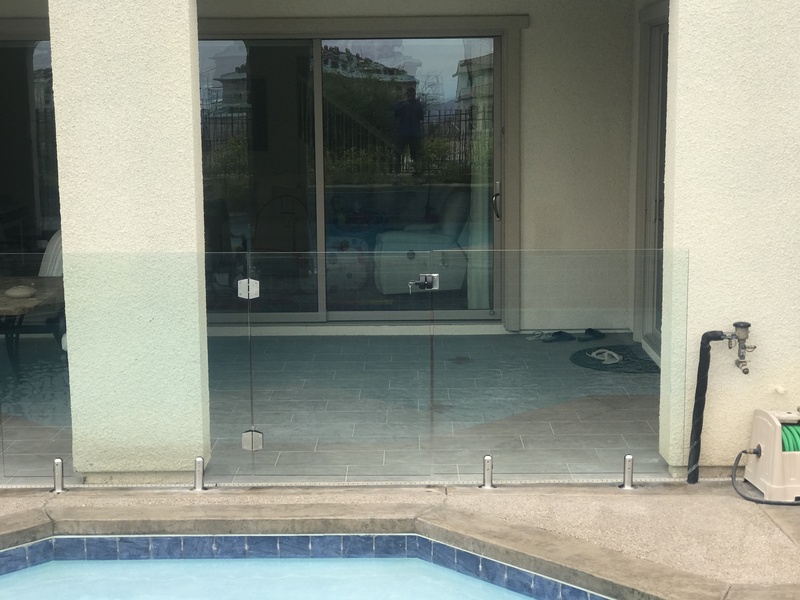 Learn more about how easy installation of a glass pool safety fence can be, call us today.